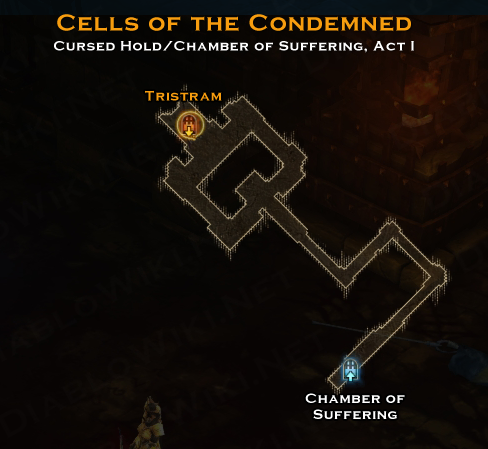 The Cells of the Condemned is the final dungeon within the Halls of Agony/The Cursed Hold set of dungeons and the final dungeon of Act I. The layout is always the same. This page was last edited on 31 January 2013, at 03:39.